It's the fifth Tuesday of July and #Treechat welcomes Stark Bro's Nurseries on the special topic of Summer Pruning. Summer pruning or “off-season” pruning of stone fruit trees in July and August has several roles in the home orchard. In addition to damage repair, summer pruning (also known as pinching) encourages husky growth in vigorously growing trees, and eliminates weak, leggy growth. Manage the overall size of your trees, especially dwarf trees, by pinching back tender new branches that have elongated too much. That's our topic on #Treechat. Join @CoronaTools along with chat partner and host, Stark Bro's Nursery with Sarah @StarkBrosCares. The live chat begins Tuesday, July 29, 2014 at 11 a.m. PST / 2 p.m. EST. This is the Twitter chat were we come together with industry experts and fellow tree tweeps each week to discuss all things related to trees and tree care, since 2010! Why Summer Pruning – Learn how summer pruning can benefit the health of the tree and its fruit during the season. Best Trees for Summer Pruning – Discover which trees benefit most from summer pruning, as well other non-fruit trees. Benefits of Summer Pruning – Understand the benefit to summer pruning for both you and your trees. Summer Pruning Tasks to Avoid – Explore some common pruning mistakes and and when to put off summer pruning. Join us for this information-rich topic live on Twitter! Just sign in, search for #treechat and tweet using the hashtag. You're tweets will appear in the live tweet stream and you will be part of the conversation. 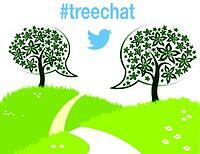 Be sure to add the hastag to all your tweets or join us in the treechat room on Tweetchat. They will automatically add it for you and it's easy to watch the conversation as it happens! Connect and share with the green industry leaders live on Twitter and 24/7 to learn and share about hot topics in the green industry. Now treechat is part of the Green Industry Leaders Network (GILN) presented by Corona and its partners. We are an alliance of professional organizations who are advancing the horticulture, tree care, and landscaping industries. Register now to get weekly updates of upcoming chats, links to transcripts, chat reminders and more! Register now on the GILN website!